Contrary to the information from its announcement, the HTC One max might be making its way to AT&T after all. A press photo of HTC’s first phablet with AT&T branding made the rounds on Twitter, once again courtesy of @evleaks. 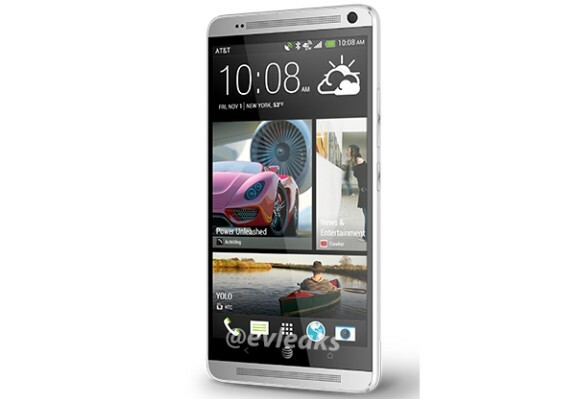 Initially, Sprint and Verizon Wireless were the only US carriers to carry the HTC One max in the United States. Therefore, the appearance of the phablet in AT&T livery surely caught us by surprise. If the rumor turns out to be the case, the phablet will likely join AT&T’s already impressive smartphone lineup before the holiday shopping season kicks off. It will join the likes of the Samsung Galaxy Note 3 and the LG Optimus G Pro as an alternative for those looking for a large-screen device. You can find out all about the HTC One max in our detailed review over here. Till now the sexiest tab in the market after iPads. HTC's phone and tablet looks are too awesome and classy. I am waiting for this device to be launched in the Indian market.